Dr. Barnett first purchased this practice in February of 2017, and over the years, she’s already formed so many wonderful relationships with patients while helping them achieve excellent oral health, followed by overall health. She completed both her undergraduate degree and doctorate at the University of Michigan (Go Blue!) and obtained her Advanced Education in General Dentistry (AEGD) through a one-year residency program at Texas A&M Baylor College of Dentistry. Dr. Barnett has been published in the Journal of Dental Education and the Texas Dental Journal. She is also the recipient of the American College of Dentists Award and D Magazine’s Top Doctors of Collin County in 2015. She is currently serving as the president of the Dallas local chapter of the Alpha Omega International Dental Fraternity. She is also a member of the American Dental Association, Texas Dental Association, Academy of General Dentistry, and Alpha Omega International Dental Fraternity. Dr. Barnett’s family immigrated to the United States from Ukraine when she was four years old. She grew up in Farmington Hills, MI (a suburb of Detroit) and her parents still live there today. Dr. Barnett was recently married right here in East Dallas on White Rock Lake. 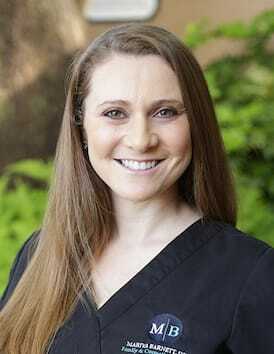 Her husband is Dr. Andrew Barnett, a Board-Certified periodontist who will be working in the practice as well. 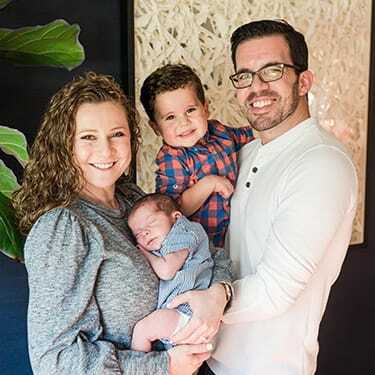 She’s also a brand-new mom to Michael Scott Barnett, who was born in September of 2018! When she isn’t busy at the office, she enjoys taking walks, traveling, trying restaurants all around the city, exercising, reading, and watching sports (especially the Wolverines! ).